The cooling of relations between the USA and Russia will not affect development of cultural ties. This was stated by the US Consul General in Yekaterinburg Paul M. Carter to journalists during the study visit to Salekhard. He outlined his position, answering the question of the news agency “Sever-Press”. According to him, it is not a secret that now there are some misunderstandings between our countries, relations are tenser. But there are areas that are not affected by the cooling in relations. There is relationship between people that in English is called “people do people”. He thinks it is very important to develop cultural programs and exchanges. Americans bring music groups, movies, and Russians come to the USA. And this is a very important area of cooperation, as he says. Cooperation between the sides is cultural and humanitarian in nature, and many projects are long-term. 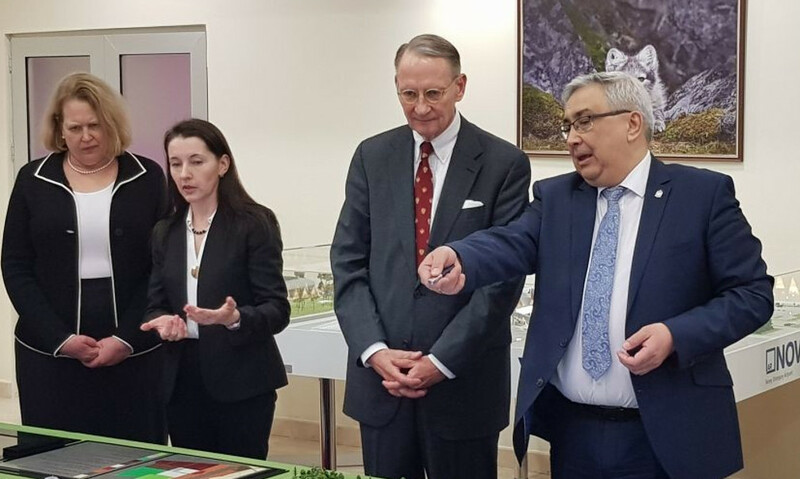 Paul Carter was keenly interested in life of residents of Yamal, social and industrial projects in the region and did not hide that, on the advice of his friends, he had planned his visit to the Reindeer Herder’s Day. His colleagues assured him that he had no right to miss this holiday. The journalists notice that Nenets people and American cowboys have a similar fun: here throwing of a tynzyan on a khorey, there – a lasso on a horse. (The note: a tynzyan is a rope-lasso for catching a reindeer, and a khorey is a long pole for driving a reindeer sleigh). He says with a joke that he is from the eastern coast of the United States, Virginia, and cowboys are in the west. That is why he did not learn how to throw the lasso.